Danish studio BIG has unveiled plans for two twisted apartment blocks in Coconut Grove, Miami (+ slideshow). 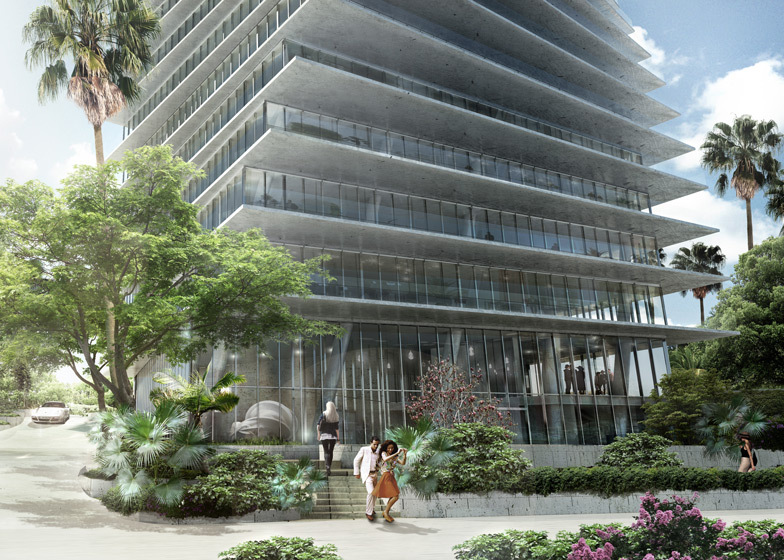 The 20-storey towers will be constructed on the site of the former Grand Bay Hotel, one of Miami's most prestigious attractions during the 1980s and early 1990s. Despite being the only hotel in the area to have earned a five-star rating, Grand Bay lost popularity in its later years and was eventually closed in 2008. Over that time many houses and apartment buildings have been constructed in the neighbourhood, so the developers felt that a hotel would no longer be appropriate and commissioned BIG to design a residential complex. 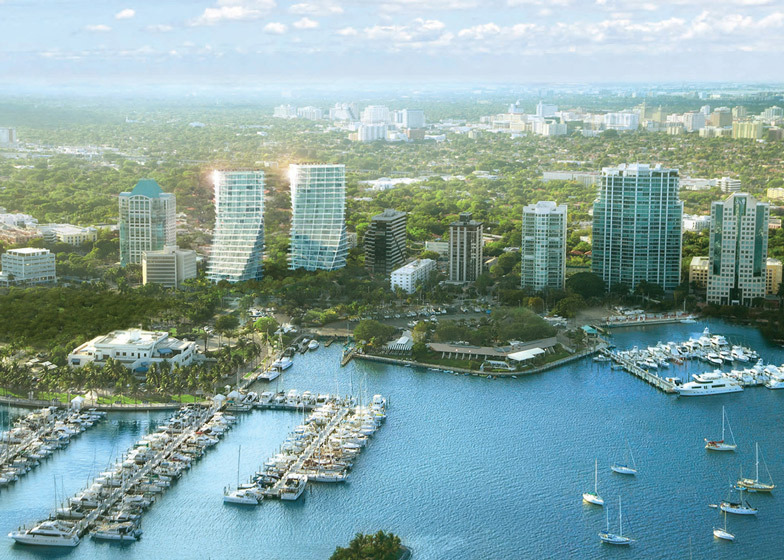 The two similar towers will include a total of 96 apartments and both will feature balconies wrapping the exterior walls, offering residents views across the bay. 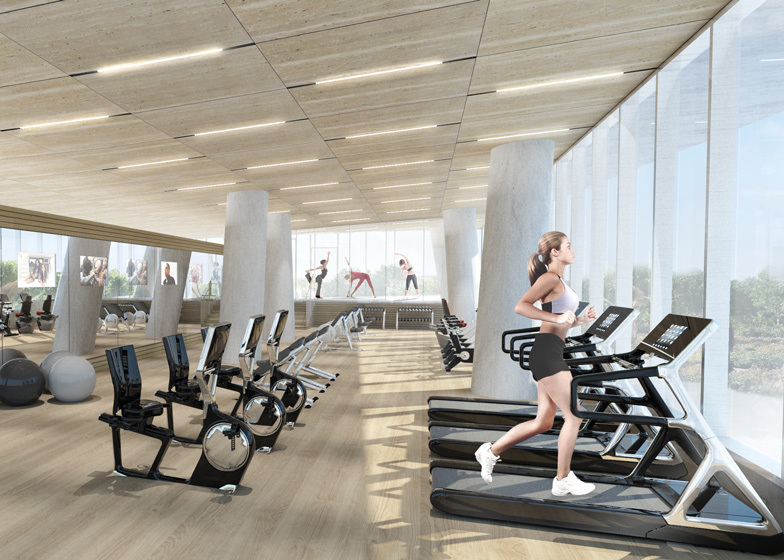 Behind the balconies, the buildings will have glass walls that create floor-to-ceiling windows for each aprtment. 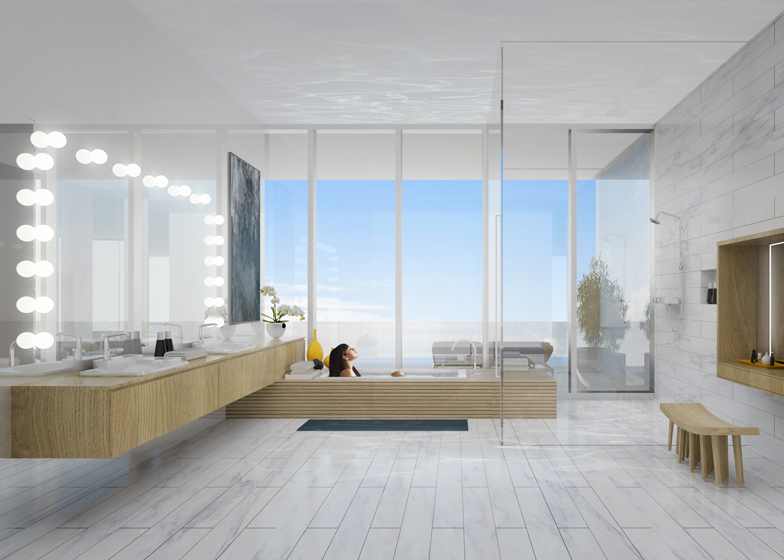 BIG's founding architect Bjarke Ingels explained: "Miami has developed a contemporary condominium vernacular that combines brise soleil style balcony shading with floor-to-ceiling windows in order to best enjoy the panoramic water views of the area. 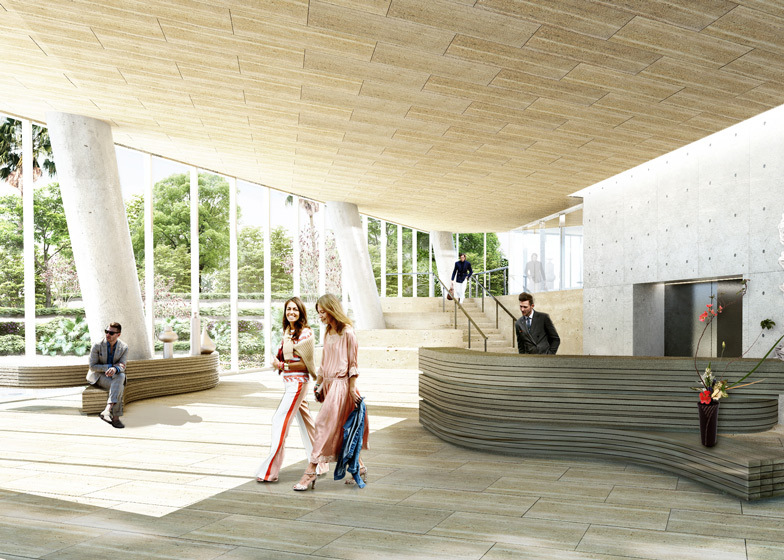 We propose to elaborate on these indigenous elements and continue the evolution of the local condominium architecture." Landscape architect Raymond Jungles has designed gardens and terraces to surround the buildings, while the curling red sculpture created by artist Alexander Liberman at the hotel entrance will remain in its place. 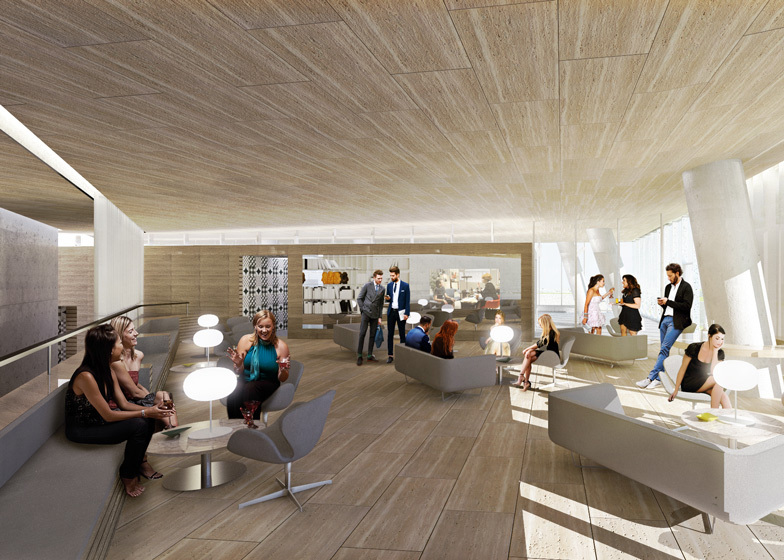 Construction is scheduled to begin this month, with completion anticipated for late 2014. BIG previously designed a twisted skyscraper for Vancouver, while Chinese architects MAD just completed a pair of contorted towers near Toronto. This year BIG also completed a brightly coloured carpet on a street in Copenhagen and revealed proposals for a building shaped like a hash symbol. 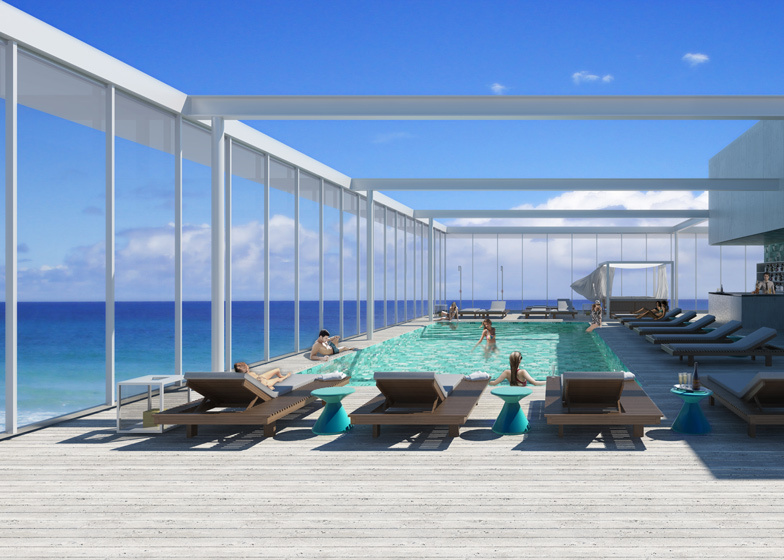 Developed by Terra Group, Miami's leading real-estate development company, the construction is scheduled to begin in the fourth quarter of 2012, completing end of 2014. 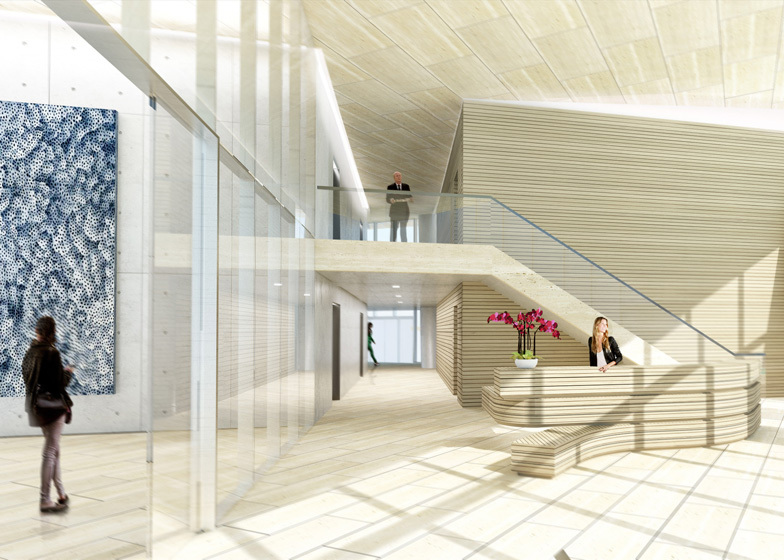 Upon completion, the project seeks LEED Certification Silver designation, the first such structure in Coconut Grove. Rising 20 stories over the bay-front, Grove at Grand Bay will showcase 96 expansive residences with panoramic views from every angle as the two towers take off from the ground and clear the surrounding buildings, readjusting their orientation to capture the full breadth of panoramic views from sailboat bays and the marina to the Miami skyline. The interactive movement of the two towers creates a new dancing silhouette on the Grove's skyline. Whether in the shade of the buildings' twisting facades or inside, residents of the Grove at Grand Bay will fully experience and relish living amid the open air. 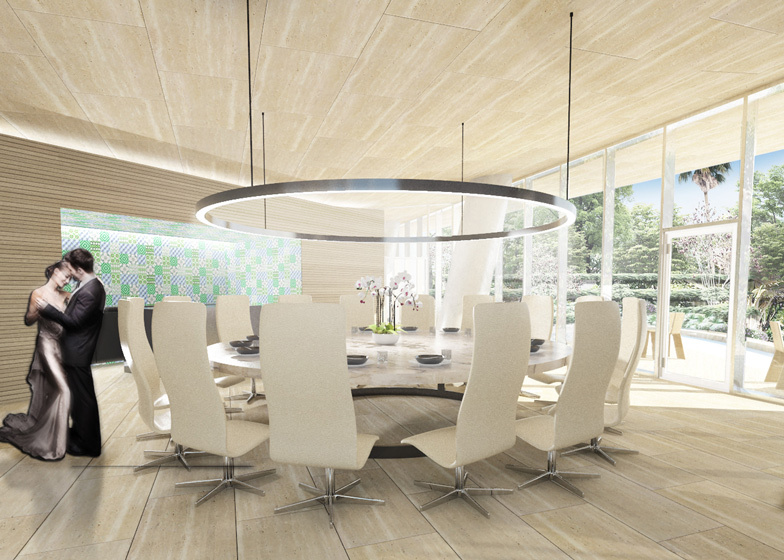 The gardens and architecture will fuse seamlessly at the amenity levels, maximizing indoor outdoor living experiences that are unique to the South Florida climate. 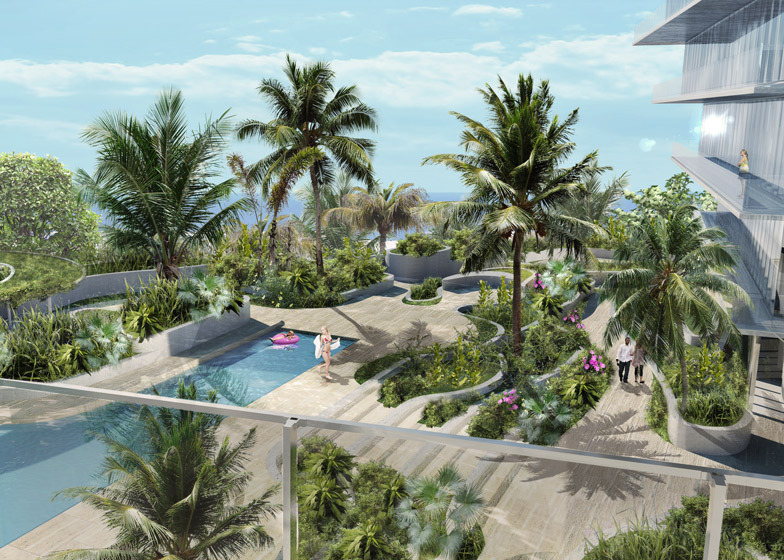 Views down into the gardens, towards the surrounding canopied neighborhoods, and beyond Sailboat Bay will offer peaceful, verdant backdrops to elegant residential interiors and vast balconies. The interior design of the individual units are refined towards minimalism and luxury. 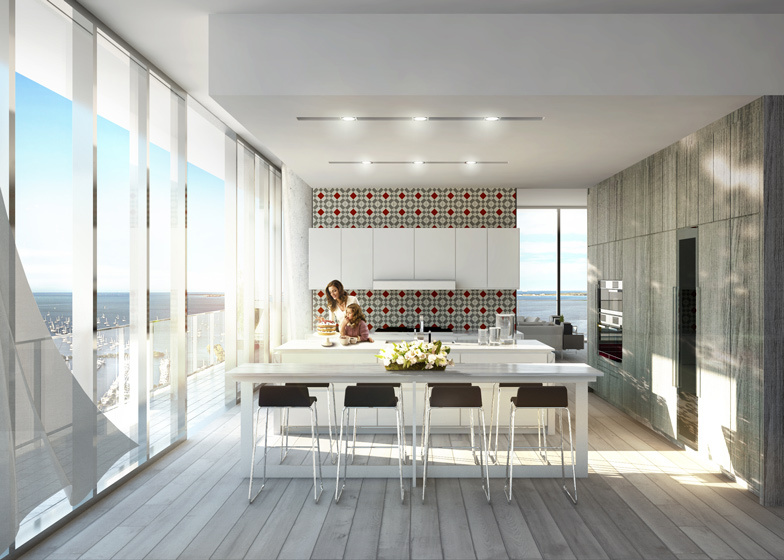 With an open flow-through floor plan, each residence will showcase 12' ceilings and 12' floor-to-ceiling windows, first among Florida developments, and spacious outdoor terraces with wraparound balconies that create a continuous indoor/outdoor living environment. Raymond Jungles, the landscape architect renowned for his creative and ecologically sensitive landscape architecture, captures the natural beauty of the neighborhood and magnifies it with ample green spaces. 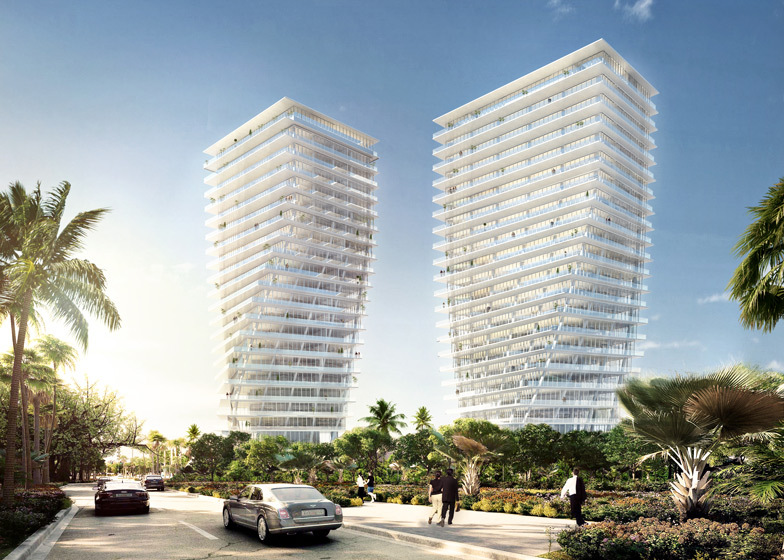 The two glass towers in a pas de deux appear to float over Raymond Jungles' lush, canopied oasis, beckoning to Biscayne Bay and beyond.